When I think about the anthologies I have read, I tend to break them out into three different types: exploring a particular style (e.g. Supernatural Noir ed. Ellen Datlow, reviewed here), showcasing a particular sub-genre (e.g. Steampunk ed. 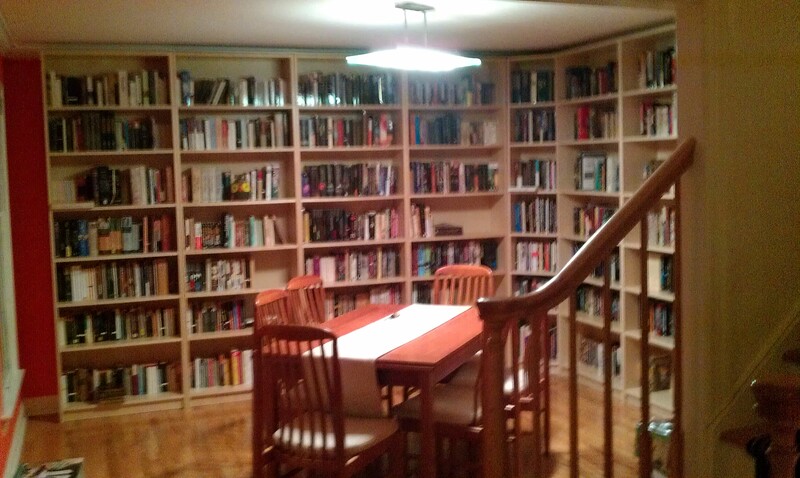 Ann and Jeff VanderMeer), or plumbing the depths of a specific theme (e.g. Paper Cities ed. Ekaterina Sedia). Through painstaking editorial curation, anthologists consolidate different voices and stories into a meaningful, unified whole. They can become more than the sum of their parts, and at the same time are packed full of fun, entertaining stories. And while I found that Tyche Books moon-themed debut anthology Ride the Moon didn’t culminate in a deeper insight into human nature, the collection of fantasy and science fiction stories was well-selected, well-organized, and definitely a fun read. Thematic anthologies like Ride the Moon are, in my opinion, the hardest type of anthology to pull off. 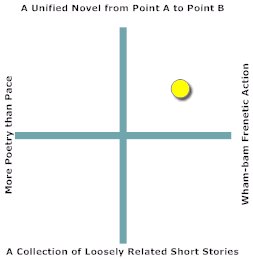 A stylistic exploration requires attention to style and tone, a sub-genre survey requires breadth and depth within that sub-genre, but a good thematic anthology necessitates building a TOC of excellent stories that are linked on a superficial level (the ostensible theme) and whose underlying truths are simultaneously unified in some fashion. The best example of this kind of anthology in recent times that I can think of is Ekaterina Sedia’s Paper Cities , which (despite the weaknesses of some individual stories) still managed to offer insight into how cities are employed in modern fantasy. Ride the Moon is the debut book published by a new Canadian small press, Tyche Books. As their launch title, it is impressive. If I hold it to a high standard, it’s because on most measures I believe it comes pretty damn close to meeting it. Most of the stories are original to the anthology, though the occasional reprint (Edward Willet’s “Je Me Souviens” I recognized) is well worth inclusion. Most of the authors are Canadian, and I strongly recommend readers who might not be familiar with SF/F north of the border to check them out. While I recognized some of the authors (notably Claude Lalumière, Edward Willet, and Marie Bilodeau), most were brand new to me. As the title suggests, every story in this anthology somehow touches on or deals with the moon as metaphor, god(dess), monster, or setting. With its lunar theme, the anthology skews somewhat fantastical: of the eighteen stories, only six are clearly science fiction. However, the remaining twelve fantasy stories tend to blend nicely between the explicit dark fantasy of Lori Strongin’s “A Moonrise in Seven Hours” to the more science fictional fantasy of Ada Hoffman’s “Moon Laws, Moon Dreams”. About half of the stories – most notably C.A. Lang’s “Tidal Tantrums”, Shereen Vedam’s “Aloha Moon”, Keven Cockle’s “The Dowser” and Amy Laurens’ “Cherry Blossoms” – wrestle with the relationships of myth and magic in a modern, technological society. 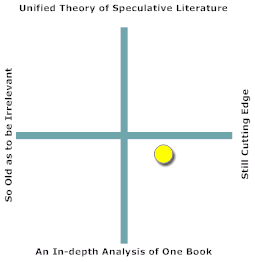 And while it might be tempting to say that therein lies the anthology’s unifying truth, I’m afraid that theory doesn’t hold up when faced with the anthology’s other stories. The stories that I enjoyed most invariably did something fresh with both the lunar theme and their storytelling. Isabella Drzemczewska Hodson’s “Husks” is a beautifully written dark fantasy. The prose is lyrical and flowing, and Hodson’s imagery just draws you in. Her use of omniscience in the storytelling works to great effect: despite the omniscient narrator, I found myself embedded in the characters and their experiences. A. Merc Rustad’s “With the Sun and Moon in His Eyes” employs excellent characterization with tight prose. Both the subject matter and story structure reminded me of N.K. Jemisin’s Inheritance Trilogy , and appealed to me in many of the same ways. Shereen Vedam’s “Aloha Moon” and Ada Hoffman’s “Moon Laws, Moon Dreams” both do a great job of drawing the reader into their characters, though I found the plot resolution of “Aloha Moon” a little too convenient. The biggest stand-out for me, however, had to be Edward Willet’s “Je Me Souviens”: a quiet, emotional, and intensely powerful story about mourning, loyalty, remembrance, and faith. Some of the other stories, notably Krista D. Ball’s “On the Labrador Shore, She Waits”, Tony Noland’s “Sunset at the Sea of Fertility”, and Lori Strongin’s “A Moonrise in Seven Hours” didn’t work for me. In most cases this was because I found their characters and plot structures fairly predictable. They were well executed for what they were…I just found that they didn’t appeal to me, and were otherwise unmemorable and unremarkable. In sum, I would say that Ride the Moon is an entertaining, well-written, and well-structured anthology. Despite their significant differences, the stories flow into each other nicely. I enjoyed reading it and – perhaps most importantly – it has turned me onto a number of authors who I might not otherwise have encountered. This is an anthology well worth picking up if only for those two traits. And as a debut from Tyche Books, it makes Tyche a small press that I’m going to be paying attention to going forward. As I’ve mentioned before, I am a huge fan of Ian McDonald’s adult science fiction. His complex, multi-layered plots and penchant for near-future science fiction set in non-western cultures (Africa, India, Brazil, Turkey, etc.) have always struck me as interesting, engaging, ambitious, and structurally complex. So when I heard that Pyr was going to be releasing a new YA novel by Ian McDonald entitled Planesrunner , I jumped at the chance to read it. McDonald has earned a large, loyal, and very much deserved following for his adult fiction, I don’t know if the decision to market this particular story as YA lay with the author, his agent, or with his publishers, but it does make reviewing the book an interesting challenge. UPDATE: but his foray into MG/YA fiction represents an interesting critical challenge. 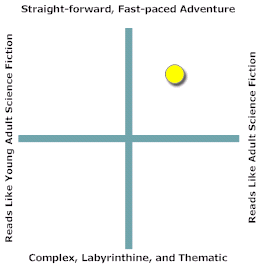 The YA and SF genres have different (though overlapping) conventions which stem from both their respective histories and their divergent audiences, and it is unclear through which lens we should look at Planesrunner . What comes first: the science fiction, or the YA? Planesrunner is told from the perspective of Everett Singh, the fourteen year old son of a quantum physicist involved in the development of doorways onto parallel worlds. Everett watches his father get kidnapped, and then finds that he alone has the clues and capabilities to rescue him. Judged solely by the protagonist’s age, Planesrunner falls firmly into YA territory. Though the book opens in London, McDonald’s hero comes from a Punjabi background, and McDonald’s excellent ear for local cultures comes through in Everett’s voice. Particularly in the novel’s first third, McDonald paints Everett in solidly contemporary British colors, albeit filtered through his Punjabi background. Everett’s cultural background can likely best be compared to that of Jessminder “Jess” Bhamra in the excellent Bend It Like Beckham : to say that Everett is a soccer-loving British boy tells only half the story, while to say he is Punjabi does the same. This is a blend culture more accessible to western readers than the India McDonald took us to in his (adult) Cyderabad Days , but it is definitely not the whitebread England of Harry Potter. As always, I applaud McDonald’s presentation of cultural complexity. The first third of the novel focuses on Everett’s reactions to his father’s kidnapping. From the high-powered opening, the story’s pace slows down significantly as we learn more about Everett’s family background (his parents have split up, he has a younger sister, etc.) and we get gradually introduced to our protagonist. We learn about Everett through his interactions with his mother, his soccer team buddy, the police, and his father’s co-workers. Throughout this process, we gradually learn more about the work his father does, and about the parallel worlds that he helped discover. This part of the book is written with McDonald’s typical skill, providing a good feel for Everett, his values, his cultural background, and his life. We grow to care about him, and get engaged in his desire to save his father. All of this is good, however by the standards of contemporary YA it happens rather slowly. Most contemporary YA that dives into the action the way this story does maintains and rapidly escalates the tension from page one. Here, the tension is maintained but its escalation unfolds more slowly. It is effective, but it has more of the feel of an adult novel than a typical YA story. Once Everett deduces that his father has been taken to the parallel world of E3 and follows him through the gates, the book’s pace accelerates substantially. First, the alternate reality Everett crosses into is a vastly different London, where oil was never discovered. As a result, its 21st-century society runs on coal-powered electricity and has no access to technology we take for granted (e.g. plastics). It is a delightful and compelling steampunk world, complete with vast airship fleets. The concept of a 21st-century London where oil had never been discovered is an interesting one, and McDonald does an excellent job of rendering its technological development believably. But while he does a fine job of nailing the technological/scientific world-building, I am less sold on the cultural flavor of his alternate London, which blends contemporary and pseudo-Victorian sensibilities. On the one hand, we see that the alternate world has values and a cultural background commensurate or at least compatible with those of our modern world. The villains in E3 are quite at home in skyscrapers, modern dress, and with modern weaponry. But they are set in opposition to a romantic rabble of airship sailors who dress, talk, and generally act like they stepped out of the Victorian era. Perhaps this disconnect is part of McDonald’s point, but upon reflection, I found myself doubtful. 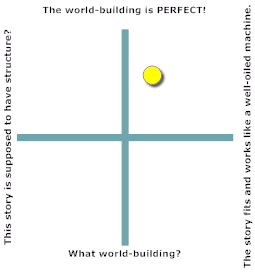 Nevertheless, it is a testament to McDonald’s skill at world-building that these quibbles only arose upon reflection: while reading the story, I found the world compelling, engaging, and believable. Once in this new world, Everett quickly joins up with that staple of the steampunk sub-genre, a crew of airship pirates sailors. They are second-class citizens presented as a rough-around-the-edges but still lovable rabble, quasi-Romany in nature. The characters Everett runs into, in particular his fiesty love-interest Sen, her adoptive mother (the captain), and her Bible/Shakespeare-quoting crewman are all extremely distinct, very interesting, and very engaging. In portraying both this world and the harsh underbelly of its society, McDonald made an interesting authorial choice: most of these characters speak in polari, which IRL is a cant slang developed in the British theater community in the 17th and 18th centuries. McDonald portrays this dialect directly in dialog, making it hard to parse for the uninitiated. I found myself torn as to its effectiveness. The strategic use of polari deepens the credibility of McDonald’s alternate world. Yet at the same time, it decreases the accessibility of that world. As an American whose only previous encounters with polari had been limited to a handful of phrases in a few episodes of Porridge while living in Europe, I found that it took real work to decode what characters in Planesrunner were saying. Interestingly, Everett had very little trouble doing so: it is possible that growing up in London, he would have had more exposure to polari than I have had growing up in the States. Readers as unfamiliar with it as I was might find that it takes a bit of effort to get through. Overall, this strategy marks an interesting choice, and one that in general McDonald pulls off effectively. However, it is a choice that I have rarely seen in YA. Experienced genre readers will probably just accept it and make use of the glossary at the end of the book, but I am less certain that YA readers will be willing to invest the same amount of effort. The biggest weakness I found in Planesrunner was that once Everett stepped into the parallel world, it seemed as if he had entirely forgotten about the mother and younger sister he left behind. To some extent, this is a natural consequence of the plot’s focus on rescuing his father. Nevertheless, I had the impression that themes of Everett’s family introduced at the book’s opening remained unaddressed (let alone resolved) at the book’s end. Above all, it is this fact that makes the book feel more like an adult SF novel than a YA SF novel. Themes of family, of choosing/balancing sides, and of cultural identity are all frequently explored in YA. One can argue (and I’ve done so on this blog before) that at some level all YA novels address the challenge of finding one’s place in a complex, multi-layered, and ambiguous world. McDonald sets these themes up fairly well in the opening of Planesrunner , but fails to follow through on them by its end. Themes of family get re-introduced, with the focus on Everett’s place within the airship’s “adopted family”, but it never ties back to the family he left at home. Perhaps as the series continues we will return to these themes and gain some closure. But stretching a single unresolved thematic arc across a series and without clear inflection points in each installment is something adult series may pull off, but flies in the face of typical YA conventions. It is one thing to end the plot of the first book on a cliffhanger as McDonald (more-or-less) does, but to leave thematic threads dangling (as opposed to tied, whether loosely or strongly) weakens the book’s emotional resonance. Overall, Planesrunner is a solid adventure. Read as such, it is perfectly enjoyable. Fans of adult science fiction will find it especially satisfying, and will likely find it fast by the standards of the adult genre. Fans of YA science fiction will likely enjoy it as well, though I suspect that long-term it won’t be as memorable as more tightly themed YA novels. Readers of McDonald’s earlier work will enjoy Planesrunner for how it builds on McDonald’s strengths and how it diverges and expands on his previous patterns. However, readers looking for the thematic, structural, and sociological complexity of McDonald’s adult novels won’t find it here. That complexity may exist below the story’s surface, incorporated into the story’s world-building, but Planesrunner is a simpler, more adventure-focused story than McDonald’s earlier work. In general, I found Planesrunner a fun if only partially-satisfying read, but I am definitely invested enough to pick up the next book in the series when it comes out. What is it with contemporary YA novels and love triangles? Maybe I wasn’t quite the lady’s man I thought I was in high school (I’m sure my ex-girlfriends and my wife are all laughing right now), but it seems like everywhere I turn in YA today, I come across a heroine torn between between two opposed romances. Team Gale vs Team Peeta. Team Edward vs Team Jacob. Clearly, I must have missed out on a defining characteristic of the teen years since I didn’t have multiple women competing for my affections. Wendy, the heroine of K.D. McEntire’s debut YA novel Lightbringer , does not have that problem. She’s got two guys fighting over her…and one of them has been dead for a long time. Lightbringer is an interesting YA paranormal mystery. It’s got the standard love triangle (are there YA books today that don’t?) but that’s actually the least compelling facet of the book. Two entirely different facets caught my attention about Lightbringer : McEntire’s mundane, living characters, and her take on magic and death. The book introduces us to Wendy, a teenager facing some tough times. Her mother is in a coma, her dad has to travel all the time for work, and she’s responsible for her two younger siblings. And she sees dead people, who she is duty-bound to help move out of limbo into the Light (whatever afterlife that might imply). It’s a lot for a teenager to deal with, on top of school and boys. The plot’s primary engine is Wendy’s quest to find her mother’s not-yet-dead soul, which she believes is lost somewhere in the Never, the limbo-like afterlife that certain stranded ghosts get stuck in. If ghosts stay too long in the Never, they will gradually lose their vitality and fade into Shades. If they don’t want to fade, then there’s a straightforward solution: eat the Lost, the souls of children who haven’t yet moved on. Yeah, it’s a bit dark. And McEntire’s depictions of the Walkers (the ravenous ghost-eating zombies) are chilling. A band of teenage ghosts try to protect the children from the Walkers, though they seem to be fighting a losing battle. The Never makes for a particularly compelling setting, an interesting ghost-eat-ghost parallel world that McEntire skillfully depicts. Her descriptions have an eery, ethereal quality except where the action comes hard and fast. That juxtaposition of misty language for place-setting, and concrete viscera (literally) is a highly effective combination. Wendy, despite her ability to see the Never and send ghosts into the Light, is entirely unaware of the Never’s social complexities. For her, ghosts are ghosts. She is convinced that by sending them into the Light, she is helping them. That they might have different opinions, or that the Never’s population represents different moral choices, she is utterly unaware. All of this changes, as her quest to find her mother’s lost soul takes her deeper and more aggressively into the Never. There, she meets Piotr – one of the Riders who cares for the lost children. I don’t think I’m spoiling anything (the cover copy makes it clear) by saying that he’s one vertex of that love triangle. Of course, life and love are nothing if not complicated: he doesn’t realize that Wendy is the “Lightbringer” – a monster who destroys ghosts. While Wendy is looking for her mother, Piotr is trying to find some of the Lost Children, who have presumably been kidnapped by the walkers. This represents a menacing divergence from the walkers’ normal behavior: typically they just eat the kids in question. But now they seem to be acting with tactics and guile, perhaps at the behest of a mysterious “White Lady”. With his experience in the Never, it is natural that Wendy should look to Piotr for help in finding her mother. As the book unfolds, their respective quests remain superficially parallel but separate. It is only through Wendy’s experiences in the living world, through her flashbacks to her relationship with her mother and her friendship with Eddie (Piotr’s rival for her affections) that the reader develops a sense of linkage between the two quests. Much as I loved McEntire’s depiction of the Never, it was the living characters who carried the story. I wouldn’t expect a teenager who can see dead people and who is essentially duty-bound to kill them to be "normal". And she isn’t: she has issues, and how she responds to her family situation is heartrendingly believable. A grown-up might look at how she is described and shrug it off by saying that Wendy is “acting out”, but her actions are realistic, deftly handled, and most importantly – McEntire skillfully avoids any sense of authorial condescension. Wendy is engaging, and her voice rings true. Her friendship with Eddie, and their complex and shifting relationship both resonated for me in a way that the Wendy/Piotr hookup didn’t. As a character, Piotr is quite frankly bland. His heart is in the right place, which I suppose counts for a lot, but for most of the book he felt like a placeholder character. All of the ghosts – Piotr included – are one-note characters who were removed from different time periods (one’s a Native American, one’s a flapper, we have no idea what time period Piotr’s from, etc.). Their speech patterns are peppered with dialog idiosyncrasies, which helps to make them distinct, but it does little to really flesh them out as characters. If the ghosts’ flat natures were by design, then this is some clever storytelling on McEntire’s part. It would be an interesting statement about the depth of characters who hang on, rather than move on with their after-lives. But I’m not certain that was the point McEntire was going for: the Wendy/Piotr romance undermines that point. Wendy’s relationships with the living people in her life are much more fully realized. The scenes involving her younger siblings, who are both wrapped up in their own problems, are incredibly touching. I wanted to see more of those relationships, and to get a better understanding of how Wendy’s family dynamic worked. I really enjoyed the way Wendy’s relationship with her mother is gradually uncovered as the book progresses. The flashbacks that show Wendy learning how to use her gift, and the past/present family dynamics are all presented very well. McEntire does a good job of leaving vital truths unstated: they might get intimated, but it is up to us to make the connection. If we do, then the eventual reveal becomes that much more satisfying. Bravely, McEntire does not skirt the moral implications of Wendy’s actions. And by the end, the book avoids offering a prescriptive solution to her quandries. Which worked well for me: the dénoument does not tie off the story with a neat little bow. Whatever conclusions she will draw from her harrowing experiences will be unpacked over the course of years (likely years in therapy). There is nothing easy about that, neither in real life, nor in well-drawn fictional characters. And that sense comes through. The weakest aspect of the book for me was the whole love triangle aspect of it. I admit, I’m inclined to believe that love triangles in YA fiction (in particular in YA paranormal fiction) are ubiquitous to the point of being overdone. But in this case, I don’t believe that the love triangle actually added much to the story. In fact, I felt that Wendy’s relationship with Piotr detracted from the relationships with her family and (living) friends. Perhaps I would feel differently about this if the love triangle had some sort of resolution. But instead of resolving it in some fashion, it ends with a plot hole that I was simply unable to leap across. Hopefully, that plot hole will get plugged/clarified in a sequel, but the lack of resolution in this one book weakened the experience for me quite significantly. If it weren’t for the fact that the love triangle fell apart without resolving, I would happily have given this book four stars on the basis of McEntire’s creative world-building, deft writing, and excellent characterization. It has all of those elements, but the love triangle just really didn’t work for me. Overall, I think Lightbringer is solid YA paranormal romance/mystery. As this is publisher Pyr Books’ first foray into the YA market, I think it’s a fine title to start with. Artistically, their experiment is a reasonable success (though not a category-sweeper). Despite its one significant weakness, I enjoyed Lightbringer . While I might not recommend it for everyone, I think that folks who enjoy the YA paranormal romance category will find a lot to enjoy in this book. I’m looking forward to more books from K.D. McEntire (whether in the same world or not), and I’m curious to see how Pyr will develop their YA list in the future.